Welcome to our little e-cafe where you can chill, drink in some fresh and tasty ideas about your personal energy management and tune up your inner success skills. Here you'll find out how to access, tune up and refine your energy. We offer workshops and webinars (both virtual and real time work groups) to help you access, tune up and refine your energy. If you found this site you are probably one of the special group of people whom I call the Advance Wake-up Team. You know who you are. You are ahead of the pack, you experiment and create new ways of doing things and seeing the world. You are highly imaginative and creative. You also often feel different from the crowd. This site is for you. It's designed to be a resting space for you to come by, relax and rebuild your energy; a place where you can regroup before you head back out into the world. What does White Water have to do with Wellness? _White Water is energy tumbling joyously and powerfully down a river. 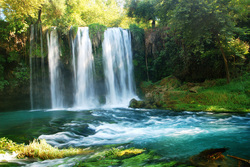 So is wellness, but instead of a river, our personal energy is bubbling joyously through our bodies. 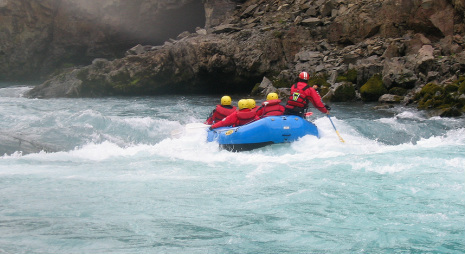 If you have ever been white water rafting you know the feeling of exhilaration. You feel totally alive. That's WELLNESS! Wellness is about being whole in all four aspects or paths of your life - physical, emotional, mental, and spiritual. Being whole is simple and easy. It's just a matter of how you manage your own personal energy. When you are 'in the flow' you are white water rafting in wellness and your own energy is powered up and balanced. You feel it and attract other people filled with the same energy to you. Don't be fooled. Wellness is NOT the opposite of sickness. Wellness targets the whole individual; not just in the physical sense, but also emotionally, mentally and spiritually. But wellness doesn't stop there. It extends to our partners, family, community and ripples out into our own cultures and across the globe. In this case we can say wellness is deep....or I should say wide! Wellness is being the best you can be at any given time in any situation. In fact, you can be well even if you have only one leg, one lung, or are in the middle of cancer therapy. What's the connection between wellness and energy management? Wellness is about balance, whether it's physical, emotional, mental or spiritual. When you think about it, we are an intricately constructed container of energy. Terry Fox who lost his leg to cancer was operating from high levels of wellness when he ran across Canada and transformed the country through his commitment to make things better. If you look at Terry and compare him to a person with two functional legs who's main excitement in life is the role of couch potato, who is more well? No hints now! So what does wellness have to do with success? The trick is to get all these components of yourself operating together and be in charge rather struggling along at the mercy of your wayward emotions, over talkative brain or disconnected from your own energy stream. The real power behind success is invisible. They are your inner success factors. It's also about how well you manage your own personal energy flow. Back in the sixties the key phrase was 'Go with the Flow!' Who knew that phrase would turn out to be so correct.